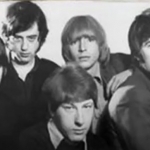 55 years ago (October 4th, 1963), Eric Clapton was asked to join The Yardbirds, replacing guitarist Anthony “Top” Topham. Stats: Peaked at number-six on the Billboard Hot 100 and number-three in Britain. Background: “For Your Love” gave The Yardbirds a Top 10 hit on both sides of the Atlantic, but it also spelled the end of guitarist Eric Clapton’s stay with the band. For Clapton, it represented a move in a direction he didn’t want to go. Future 10cc bassist Graham Gouldman, who wrote the song for his own band at the time, The Mockingbirds, feels Clapton was kind of hard on him…and his song. Graham Gouldman, who wrote “For Your Love” a number of years before starting 10cc, on Eric Clapton and The Yardbirds.